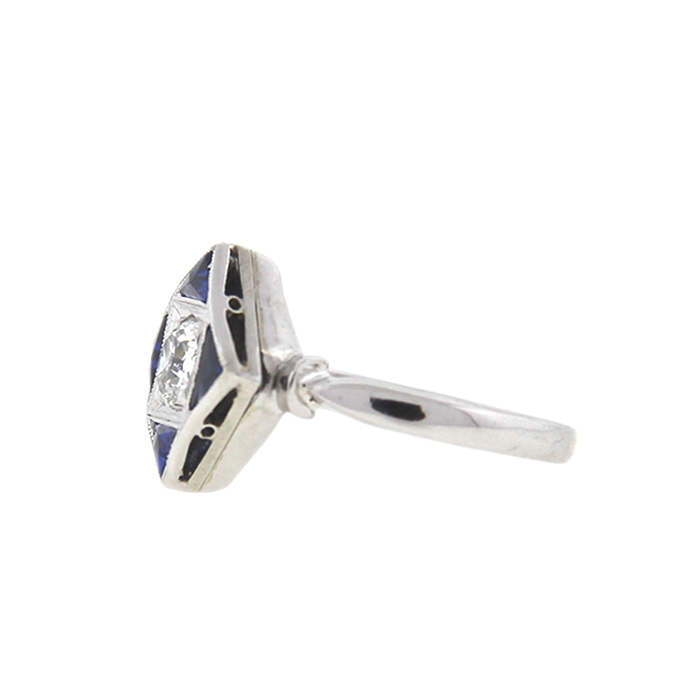 A real eye-catcher! 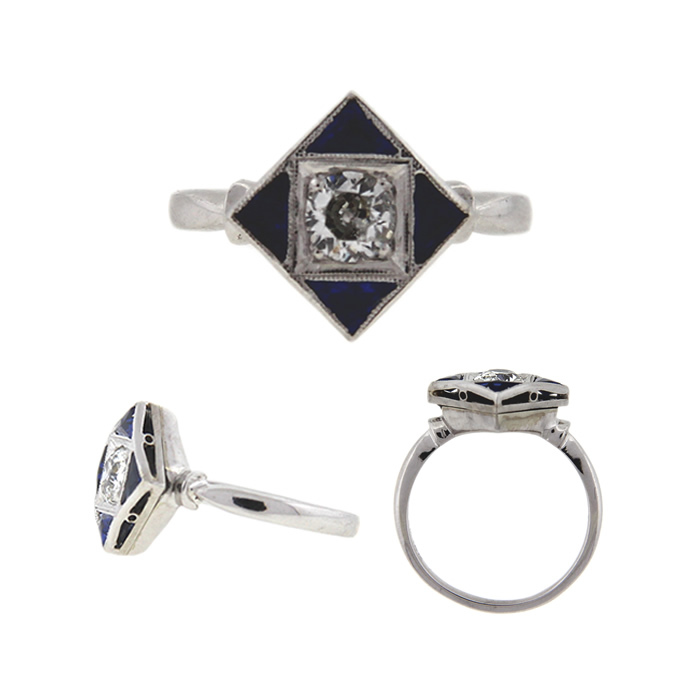 An old European cut diamond is nestled in the center of four trillion cut sapphires. 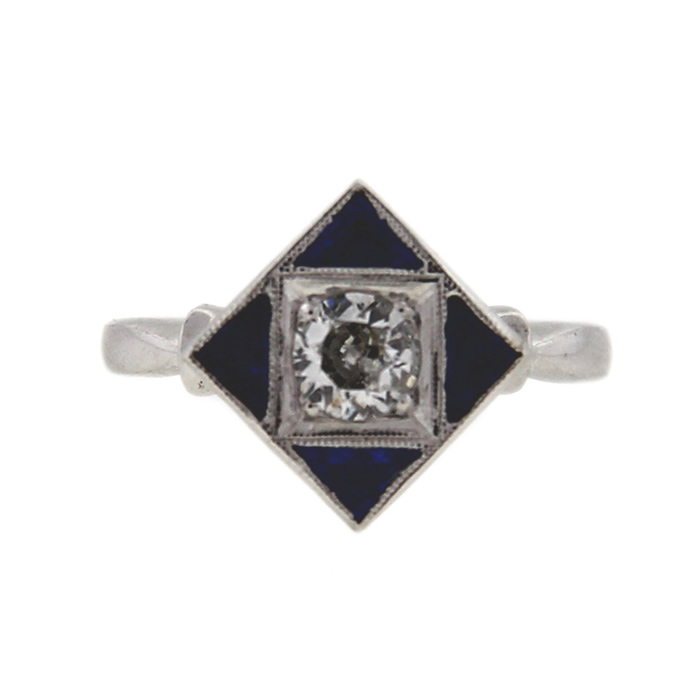 This spectacular antique ring was crafted by designers Kritzer, Stern and Klein of New York during the Art Deco era. 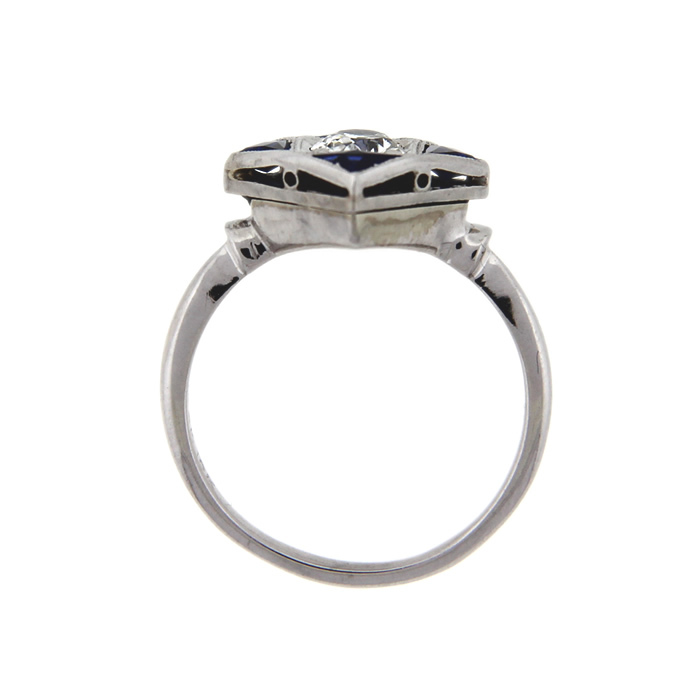 • OEC diamond weighs approximately 0.45 ct.